Smart plug and motion detector. Automate your home. 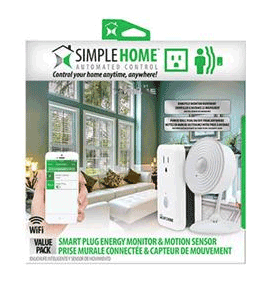 Trigger Simple Home products to turn on when motion is detected. Easily turn off appliances at home from the SimpleHome APP. Quick and simple, set up in minutes.